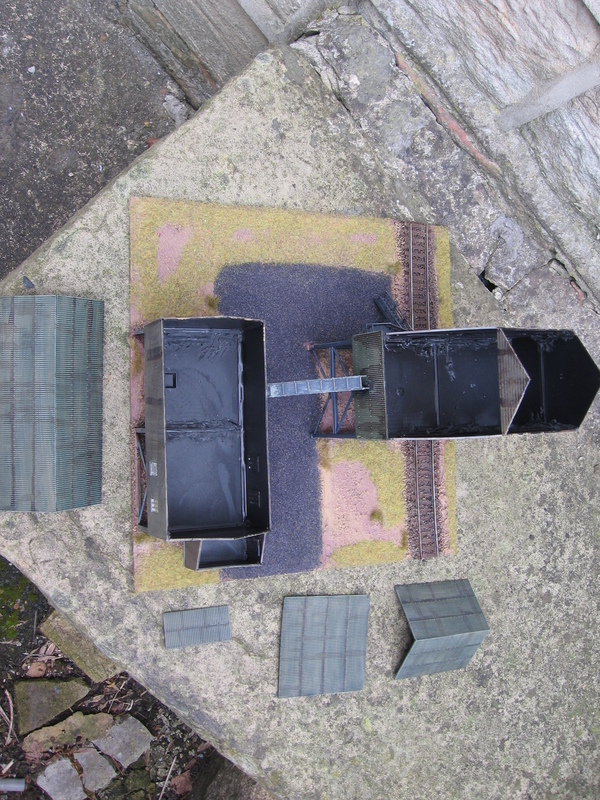 Recently I’ve have been working on a large terrain piece of a mine. 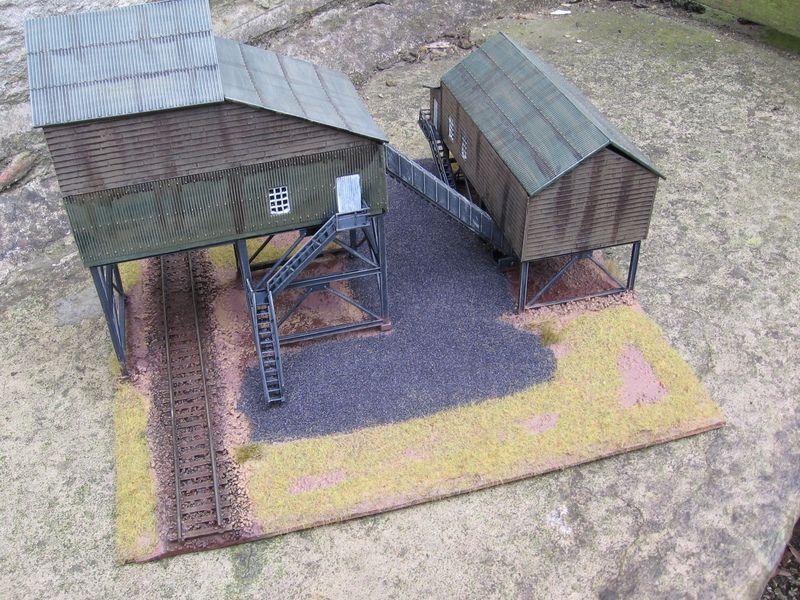 It started as an OO plastic kit from Knight wing models, I based it on a 30cm square piece of 5mm MDF with a small section of OO railway that I’ve had lying about in the shed for ages. It was finished with the usual assortments of paint and flock. 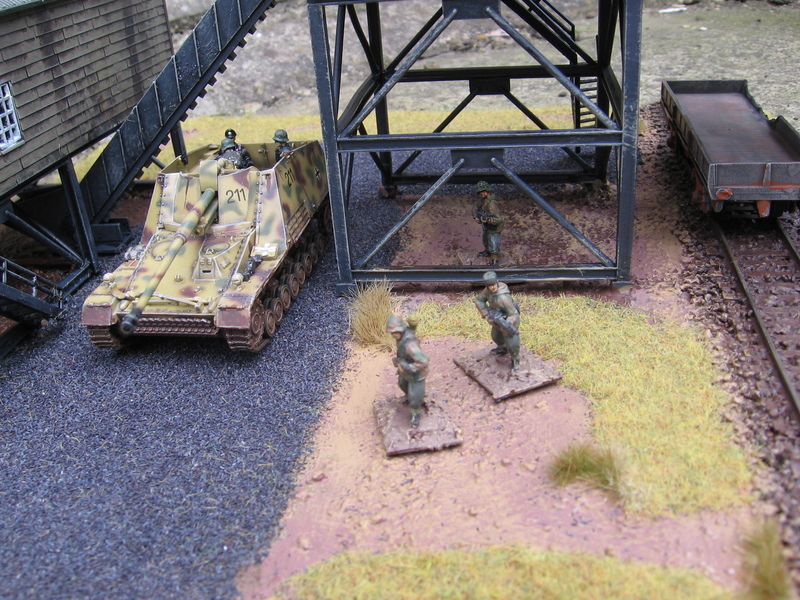 Sometime in WW2 Heer soldiers and a Nashorn move through the mine buildings. As usual I made all the roofs lift off. Oddly for such a big piece of terrain I hadn’t got a specific scenario in mind when I built it. I tried to make it as anonymous looking as possible so it should fit in pretty much anywhere from the 1930s onwards. 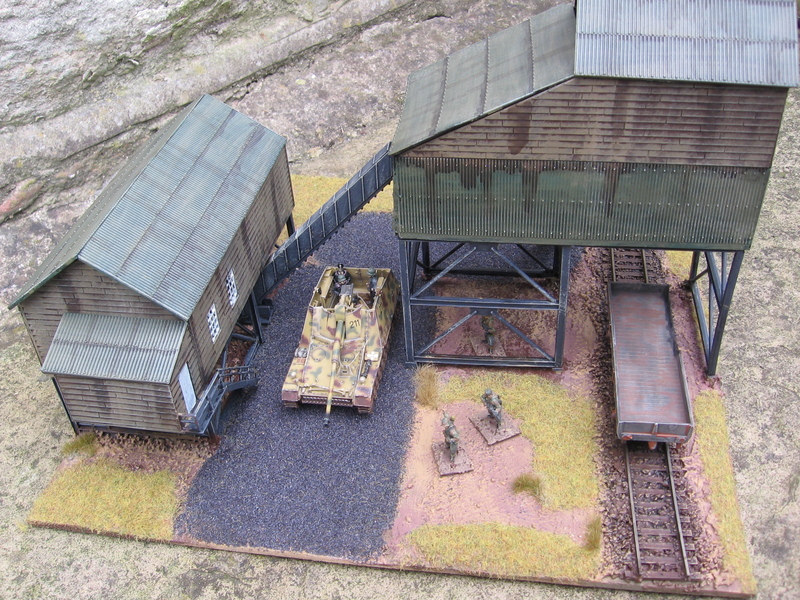 It has been suggested to me that I could use it as a centerpiece for a skirmish inspired by the 1936 film ‘Things to Come’, the attack of Everytown against the mine workings of the Hill People…. 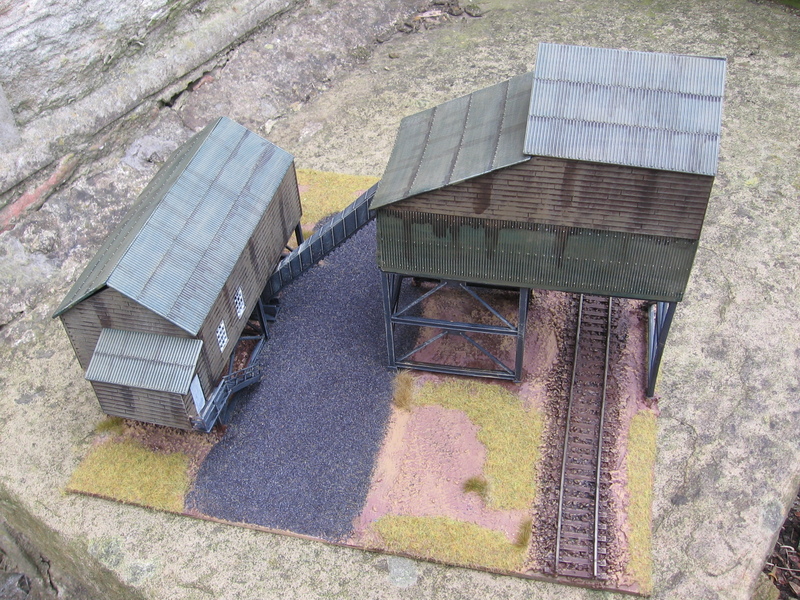 I think a few more bits and pieces to go with it would look good- especially some slag heaps and dumps. I’m sure they’ll get done in the fullness of time. 2nd quarter 2014- progress report. This quarter is managed to paint 177 20mm figures and 6 28mm ones, Finish 14 20mm kits and read 29 different books. Big news has been starting a different period in a different scale 28mm gladiators (I’m waiting until I’ve got them all painted before doing a group shot) and Cold War games in 54mm. Additionally it has been ages since I’ve painted any 1/600th aircraft- something that need rectifying soon.